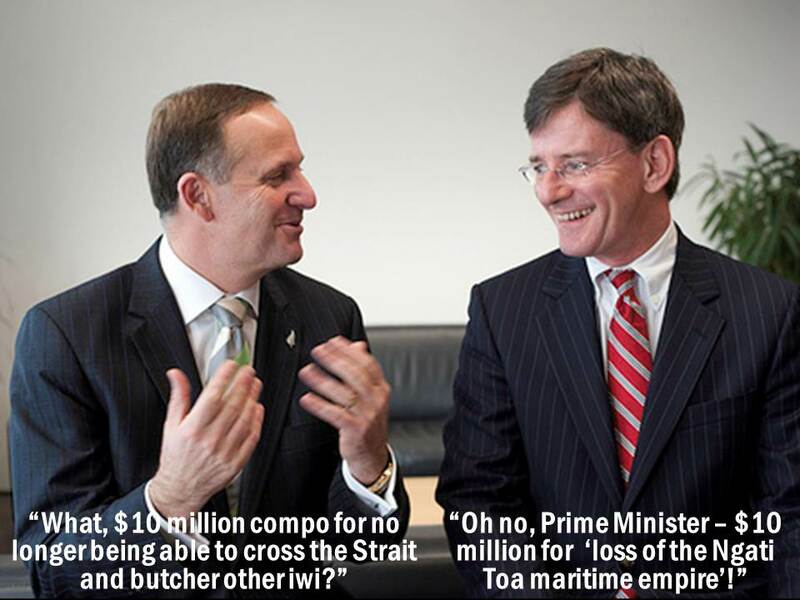 …iwi butchers, protected by DOC, hack off the lucrative jawbone. In the shadow of Kapiti Island, once home of New Zealand’s cruellest cannibal, Te Rauparaha, horrified onlookers yesterday watched the local iwi butcher a beached whale. The tribe’s sacred purpose: to turn its jawbone into jewellery. And to hell with anyone who didn’t agree with their traditional take on saving the whales… for themselves, that is. Police and Department of Conservation staff had to hold back angry and upset onlookers … after those removing a whale’s jaw were left “up to their knees” in blood. Local whale-bone carver Owen Mapp said children were in tears and some of the crowd became angry about the whale being butchered. I see, so the culturally appropriate way to honour a whale’s spirit is to hack off its jaw with a saw (an evil pakeha chainsaw, presumably), then cut it, gouge it, sand it, and sell it. By this logic, do Te Rauparaha’s descendants also “honour the spirit” of their dead by ripping out and flogging off their sacred gold fillings? Sounds more like the spirit of free enterprise to me. DOC protocol allowed iwi first use of the whale. Er, shouldn’t that be “exclusive use of the whale”? Did DOC contact the local Japanese community to see if they wanted to remove the meat? And they say there’s no Maori privilege. Ngati Toa member Nelson Solomon said people complaining about the gory work did not have to watch. How thoughtful. Ngati Toa’s manners have obviously improved since Te Rauparaha’s dinner guests were forced to watch their companions being tomahawked, eviscerated, roasted and devoured, while they mentally prepared themselves for their role as his next course. Yes, how dare DOC’s Chosen People be interrupted in their sacred duty by stupid pakeha clinging to the wimpish notion that the best way to “honour the spirit” of a dead creature is to bury it intact? And that’s the thing about tribes. Tribes care about themselves first, and others not at all. Anyone outside the tribe is the enemy. It’s the same the world over, wherever tribalism has been tried. My point is, Britain and other societies have got beyond tribalism. It’s time Maori did too. 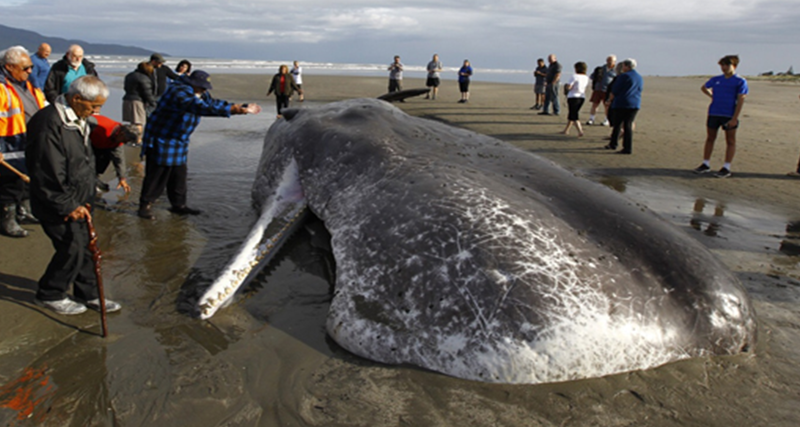 We had a whale wash up on our shore yesterday. The local iwi were quick to claim it, rope it off, and rip it open for the jaw bone. The local council’s unelected iwi representative would have had a hand in this. Surely the descendants of our country’s early whaler settlers had as much, if not more, cultural connection to this whale than local Maori? 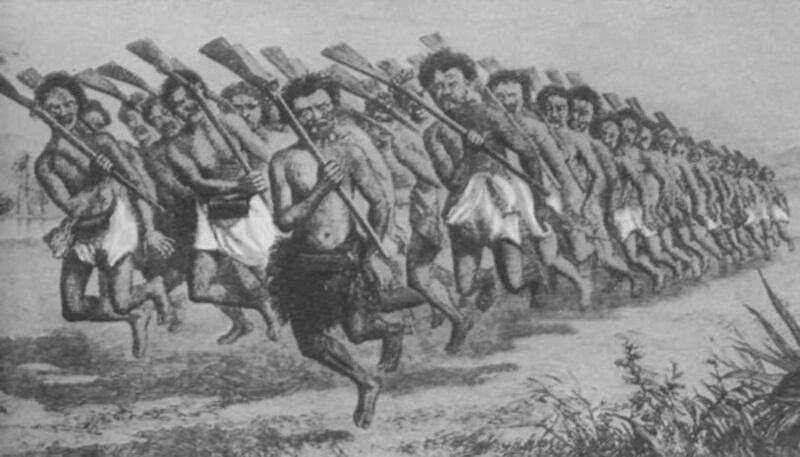 New Zealand was founded by these early settlers and their whaling activities. But alas, the whaler descendants were never even consulted. If you are a descendant of a whaler — i.e. somewhere in your family history someone was a whaler — this does NOT give you the right to call yourself a whaler. Obviously you are not a whaler. You are just a descendant of a whaler. And you have NO special place in New Zealand. However, if you are a descendant of a Maori — i.e. somewhere in your family history someone was a Maori — this DOES give you the right to call yourself a Maori. And you DO have access to the dual set of rights our government attributes to Maori. Does anyone else see the hypocrisy in this? I have no problem with Maori culture, I embrace it. I do have a problem when it finds its way into every part of our lives at the expense of all other cultures. You and me both, Andy. Good point about the whalers. Of course, the tide has turned on the business of hunting and harpooning the uber-mammal. That’s because the whale has joined the dolphin in the ranks of the cute, if not cuddly. But if it’s good enough for Ngati Toa to honour the bloodthirsty Te Rauparaha with a stadium in Porirua, it’s good enough for European New Zealanders to “honour the spirit” of the brave whalers and sealers, from whom so many of us (both white and brown) are descended. Now how do we get DOC to help us make money out of it?